Our packages are not enough for you? No problem! You can enjoy more activities shown below. * All packages do not include 5% GST. 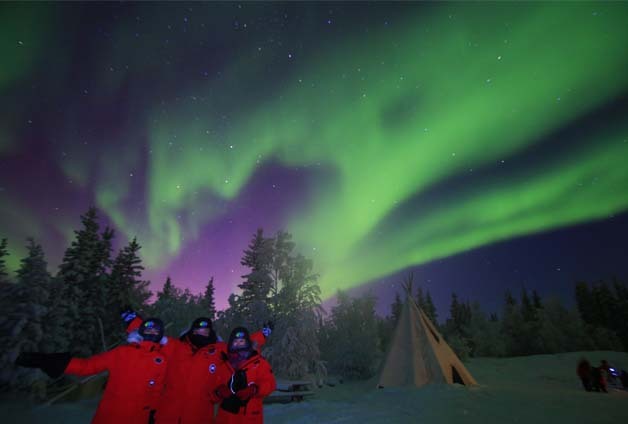 Experience northern culture in Yellowknife City. Drive from Yellowknife city to Dettah (Dene community) on the ice road, if it is opened. 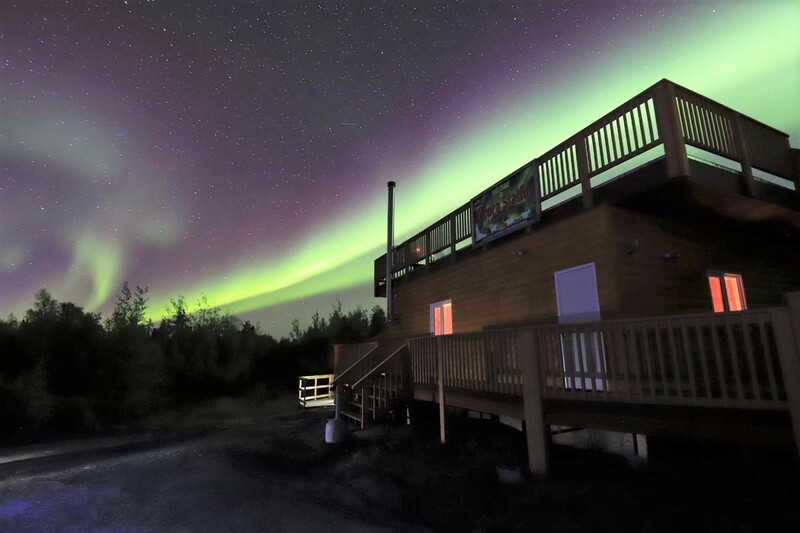 Spend 3 to 4 hours on the shore line of Great Slave lake with wood stove cabin viewing the spectacular Aurora Northern Lights. Authentic northern snacks and hot beverages will be served. Sharing Dene way of life through history, Weledeh language and connection to the land. Traditional aboriginal drumming will be performed as well. 4 hours of viewing starting at either 9:00 p.m.–1:00 a.m. or 10:00 p.m.-2:00 a.m. 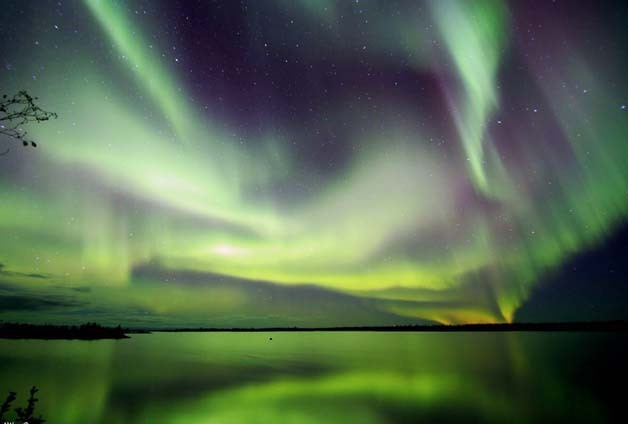 The price includes round-trip transportation to the Aurora viewing site. Complimentary hot drink, traditional cook fish on fire will be served. You will enjoy Aurora Borealis in the brand new comfort Aurora Station with the only designed sky-deck observatory in the Arctic. Hot beverages and snacks are served. Flushing toilets and full kitchen are built in the log cabin. There are Aboriginal tipi for photography. Exciting snowmobile ride through the back country wilderness, travelling on thickly forested trails. Stop and take photos of breathtaking scenery. Play on frozen lakes. Include snowmobile gear. 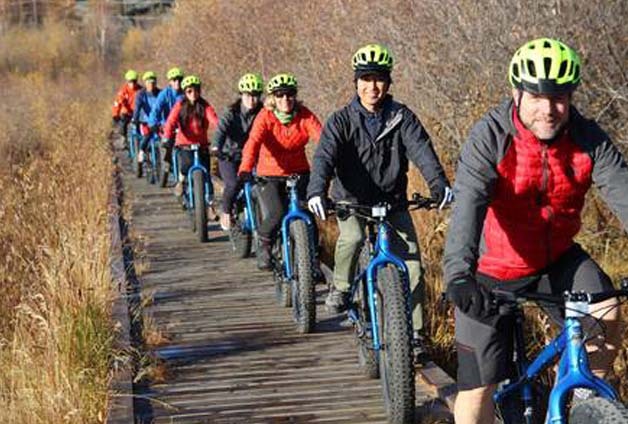 Fat Bikes were pioneered and developed back in the 1980's out of Alaska's snow and the sands of New Mexico. 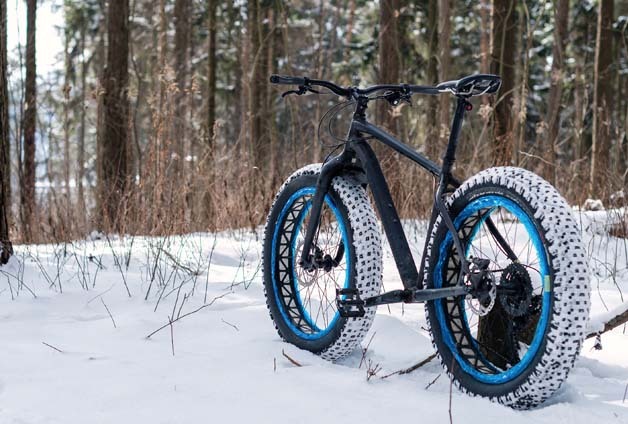 These radical new types of bikes with 4 to 5 inch wide tires are able to take people over rock, sand, snow and ice with excitement, comfort and confidence! Indicate if you would like a return loop tour or A to B tour that could finish at a popular restaurant or attraction of your choice. magine, heading out in a bombardier, over a stunning lake of snow and ice to photograph some of the rare beauty that makes the North so magical. Learn about the pressure ridges that create impressive ice heaves. 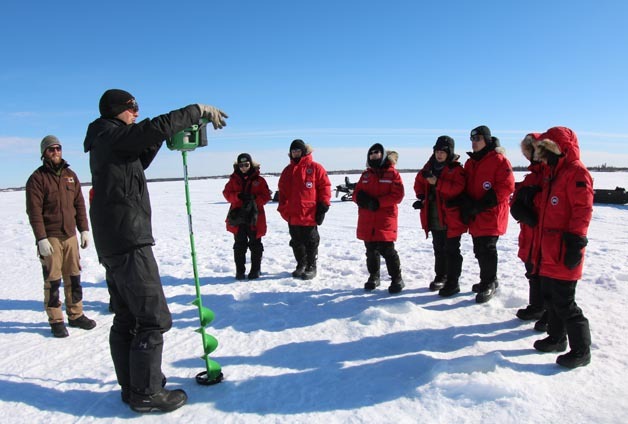 Or try your hand at ice fishing, see a demonstration of commercial fishery and sample the catch. 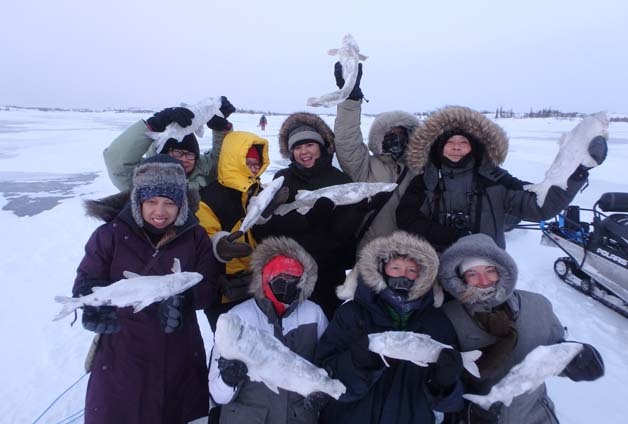 Enjoy a 4-hour ice fishing experience on Great Slave Lake. Travel a half hour by heated, snow-tracked vehicle to your comfortable fishing hut, then drop a line through several feet of ice, to see if you can pull in a big one. Enjoy the peaceful Boreal Forest by way of dog sledding team. You will fell one with the dogs as they lead you through the scenic trails in the wilderness. This is approx. 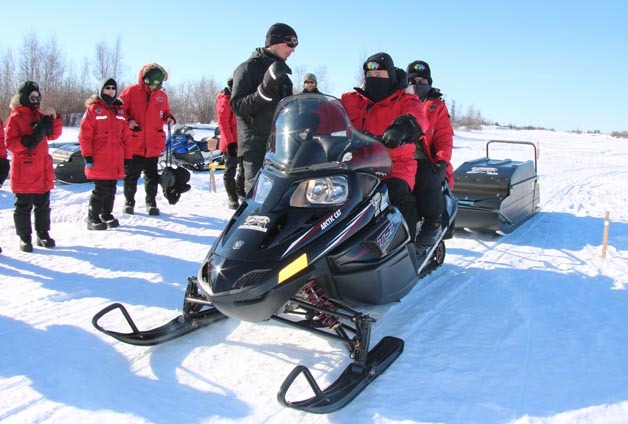 45-minute tour in total, including a safety speech from your professional mushers. This is a “Drive your own Dog Team”. 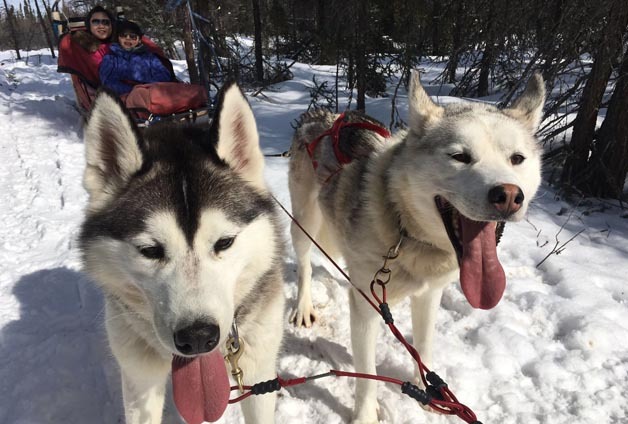 Do not worry, you will be under very close supervision from Enodah Kennel's experienced mushers who will be more than happy to help you along the wilderness trail. We encourage interaction with our happy friendly working husky dogs and will gladly take photos of you driving the team through the wilderness. At the end of the tour, there will be lots of time for hugs and photos with your favorite dogs. Within 14 days 50% deposit is required to guarantee your reservation. Cancel in 45 days or more prior to arrival - 100% refund. 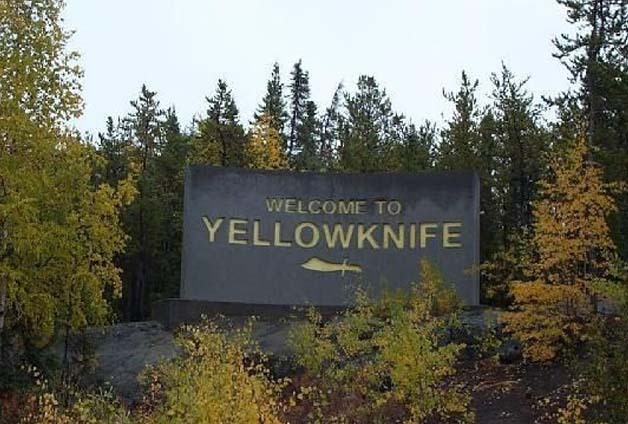 Yellowknife Tours reserves the right to cancel any tour due to circumstances beyond its control. Such circumstances may include, but are not limited to, poor weather conditions or charter flight irregularities. All packages do not include 5% GST. 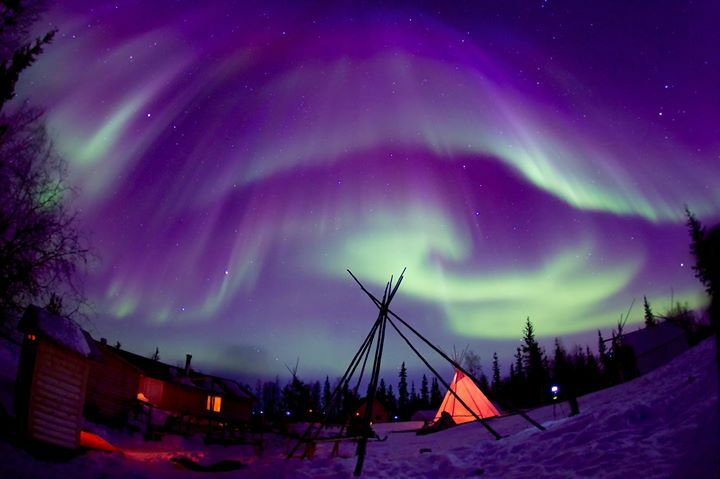 See all that Yellowknife has to offer. Explore our beautiful city! 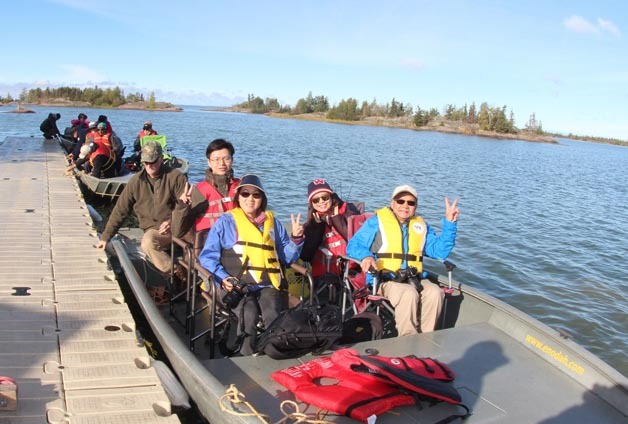 Stops at the legislative assembly, Prince of Wales Northern Heritage Centre, and at visit Frontier Visitor center as well. And as a scenic drive through downtown and Old Town., and stop at pilots monument where you can overlook the city view Yellowknife and old town. Winter, we’ll go and explorer the Dettah ice road and the unique Ice castle in March. 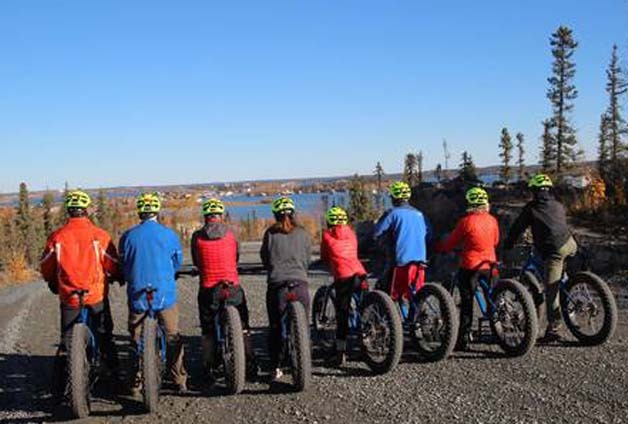 Experience the true northern culture in the Yellowknife city. We will drive you to different lakes and hunting for a good spot for aurora viewing. 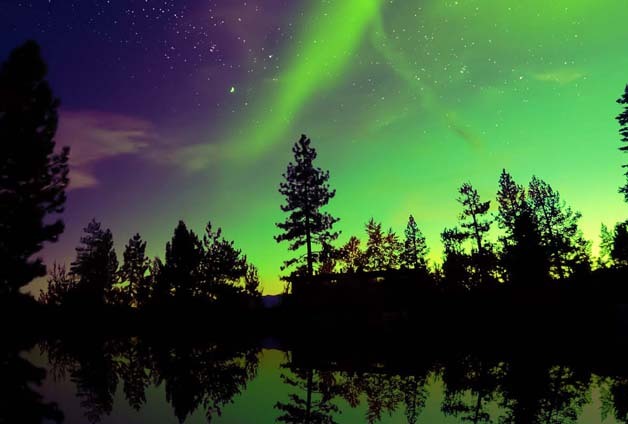 You will enjoy Aurora Borealis around the lakes, seeing the reflection on the lakes while aurora appear. 4 hours of viewing starting around 10:30 pm to 2:30 am. 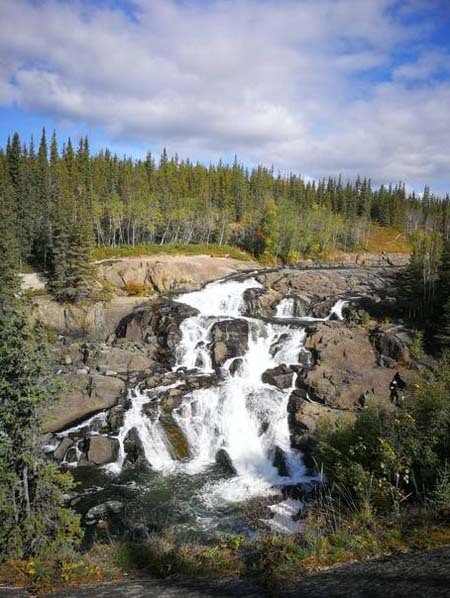 4 hours hiking tour to the stunning Cameron Falls and enjoy the scenic forested trails in the true North. Stop and take photos of the breathtaking scenery. Let the nature cleanse your mind and soul.